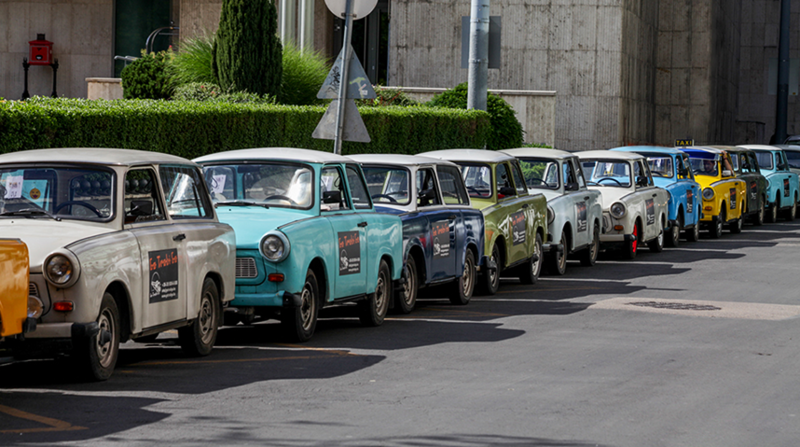 We put together our Trabant tour programs with the aim of applying a special, entertaining and lively approach to present the selected location/landscape/town to participants. Tour participants get to discover a certain area or region driving their two-stroke engine vehicles. 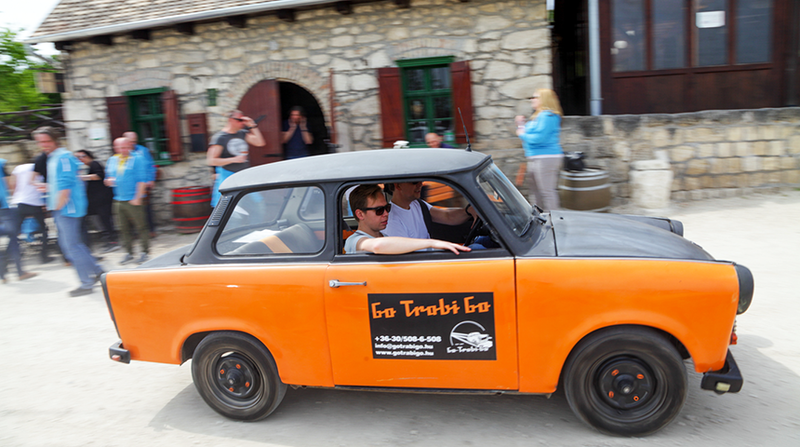 At the “Start” location after a short briefing, during which customers become two stroke engine Trabant-savvy, everyone occupies the car they most favour and the Go Trabi Go! Tour begins. 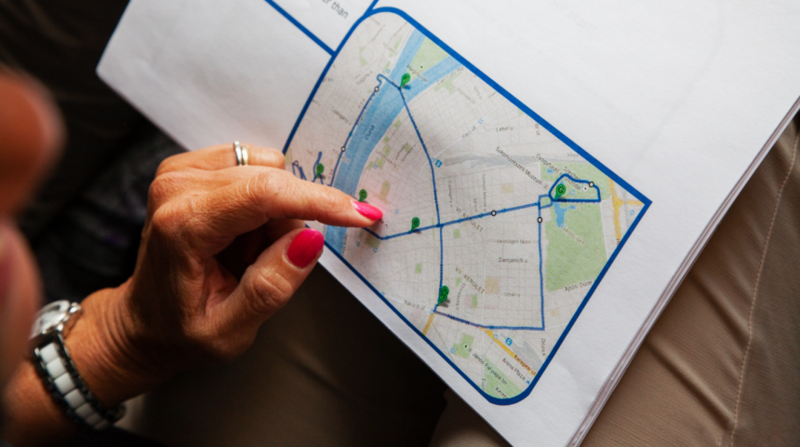 Passengers navigate in the city or the selected location using a photographic route description, together with an iPad navigation system upon request. They search a station along the route where they have to perform an assortment of entertaining assignments as a team in order to obtain a stamp from the station. We follow participants with a service vehicle at the end of the convoy in order to be able to handle any breakdowns immediately. The length of the program is 2.5-3 hours, depending on the number of games chosen. 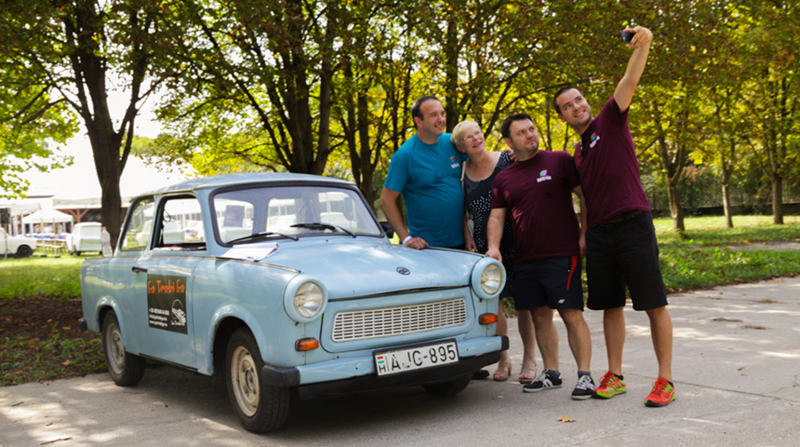 The program can be completed within Budapest – in which case it will be a sightseeing event for visitors from outside Hungary. 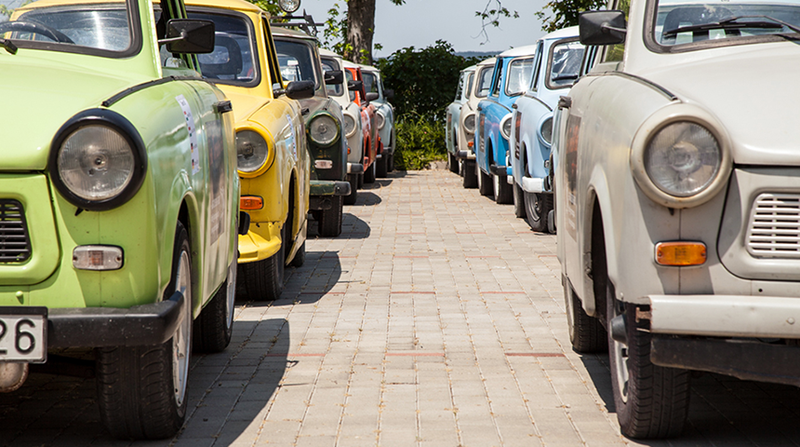 We have also held the program in several locations outside of the capital, such as Sümeg or Eger. Our tours in Balatonfüred and around Lake Velence are among the most popular but Gödöllő, Domonyvölgy and Lajosmizse are excellent choices for lovers of the Hungarian Puszta or Great Plain. Fót: Károlyi Castle – visit of the classicist style castle, meeting with Count Károlyi (by appointment only), walk in the arboretum, nostalgia photo. The program is a sampling of Hungarian castles from very old, decaying ruins to buildings that have been restored to full splendour. Each participating team (Trabant) gets a map which they need to use to locate the various stations. A tour guide and a mechanic accompany the group. The view of Budapest by night is renowned worldwide, offering an unforgettable sight to all visitors. The UNESCO World Heritage Committee inscribed the Banks of the Danube and the Buda Castle Quarter on the World Heritage List in 1987. During the evening program we would like to show visitors what Budapest looks like clad in lights. 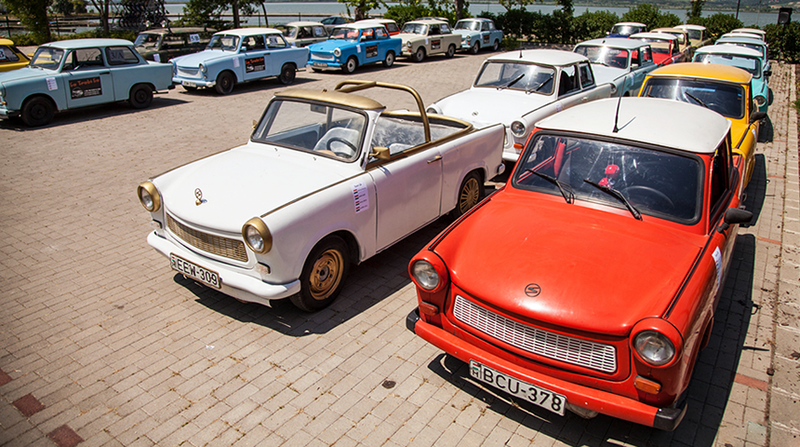 An indispensable companion to the program is none other than our inimitable Trabant fleet. 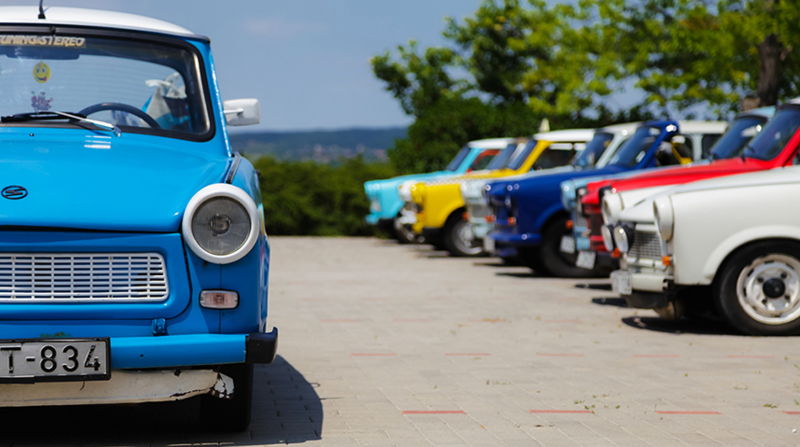 Our customers can discover the lights and buildings of wonderful Budapest either in chauffeur or self-driven cars. We guide our guests in the downtown Budapest area, e.g. through Heroes’ Square, Városliget, Andrássy Avenue, Buda/Pest lower embankment, Citadel. 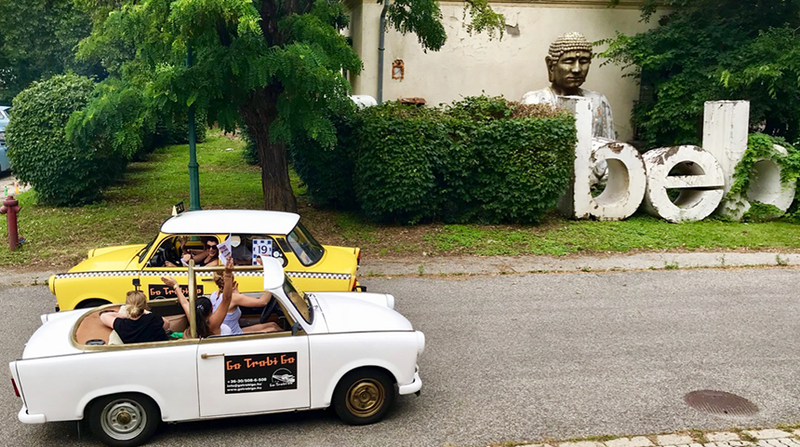 The essence of the tour is sightseeing so we recommend enjoying the sights from chauffeur driven cars, so that passengers can get the most out of the sights. The tour lasts 1-1.5 hours as traffic isn’t too heavy in Budapest after 8 pm., so the above locations can easily be visited. 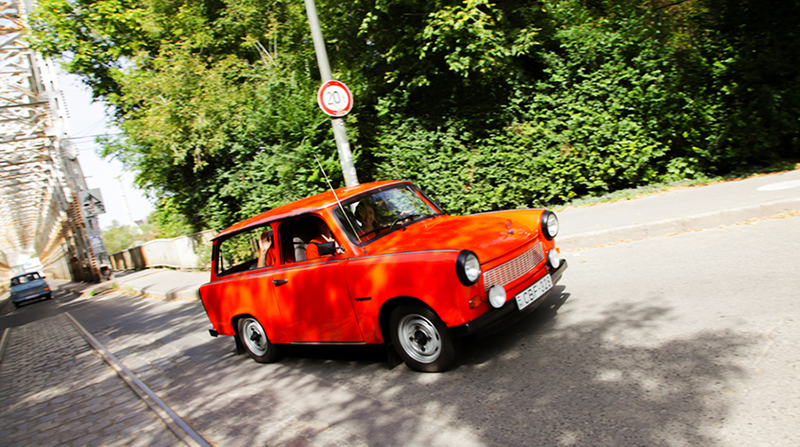 Trabant painting, this surprise program involving various playfully creative assignments in the attire of the 70’s and 80’s, is the perfect team building exercise to brighten up any training event. 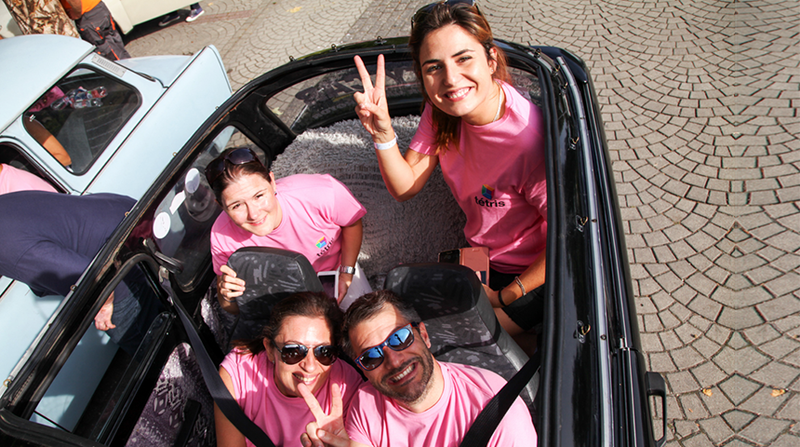 After formation of the teams (which can be decided in advance or set up on site, with no more than 10 persons per car recommended) the first assignment is to design the desired image. 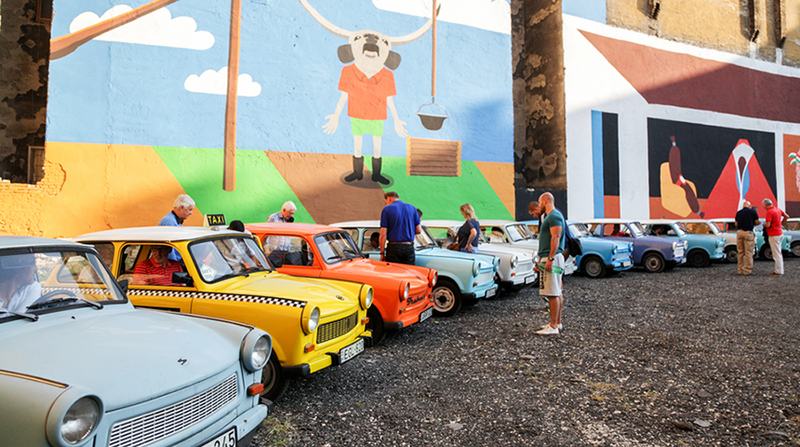 But instead of a white canvas, the artists will have to paint on snow white Trabant cars. 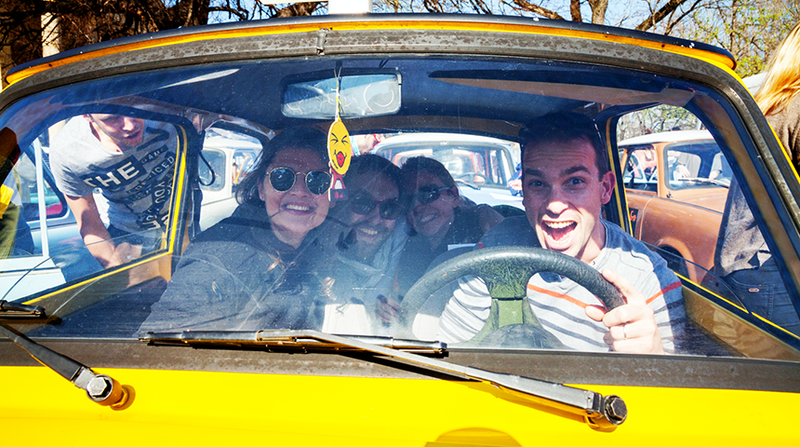 Our Trabants are all waiting for the makeshift artists to indulge in this creative activity and paint all kinds of colours and shapes on the bodywork. 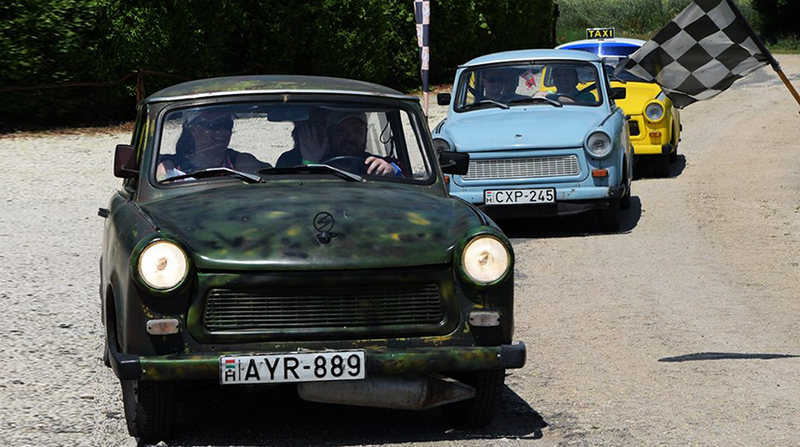 Teams are given sufficient quantities of paint and other accessories in order to prepare their cars for the Trabant “beauty contest”. The Trabis can be painted along the lines of predetermined categories, e.g. Rock&Rock, film themes, superheroes but teams can also elaborate their own ideas. The only requirement is that all parts of the chassis must be painted (with the exception of the wheels). The teams may be required to perform various assignments during the process, for which they will be given valuable and special sprays. 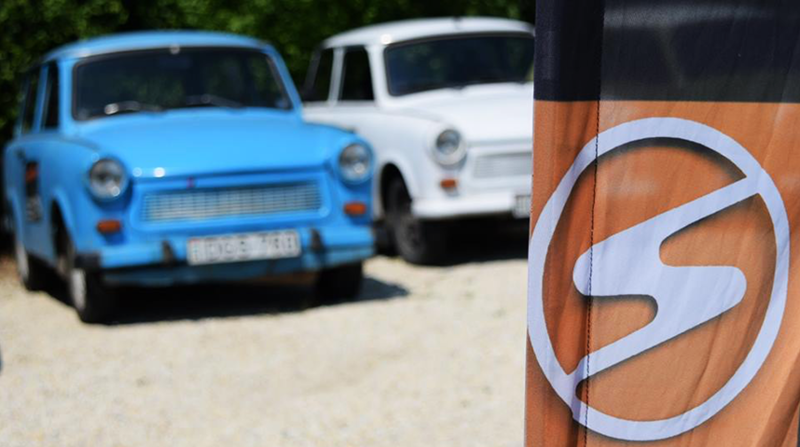 These extra colours jazz up the Trabants and the team’s car will stand a better chance at winning the most beautiful Trabant award. At the end of the program participants will be given a chance to remove any unwanted paint. 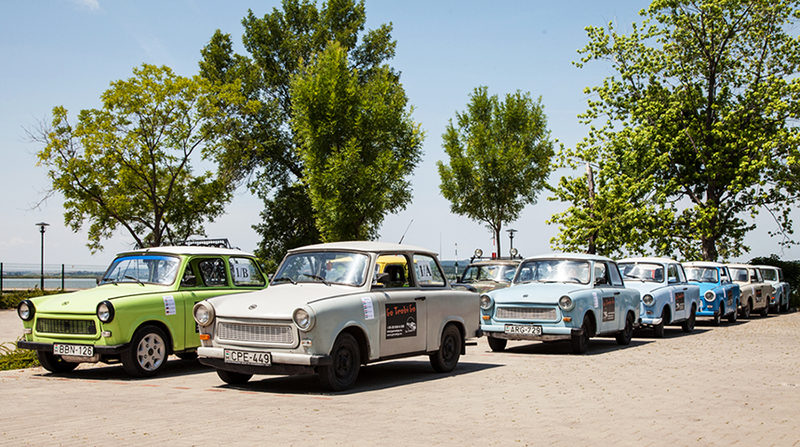 While the artists clean up, the expert jury watches the Trabant auction explaining why that particular car is the most beautiful, this is followed by the evaluation and announcement of the winner.